Many great things happened for me in 2015, and it looks like more is yet to come in 2016. But, I know none of this would be possible without each and everyone of my readers. You all make a huge difference in my life! I hope that all of you have a wonderful 2016 full of happiness and promise for a brighter future. Happy New Years!!!! 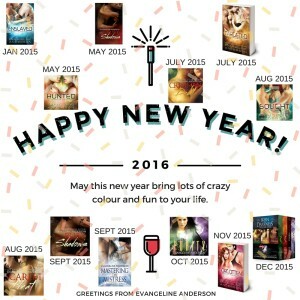 Last year was an amazing year in the kindred world … I look so forward to all that 2016 bring your an amazing writer thank you for bringing those pages to life . God bless you and your family ! I am so excited about your new books coming out. Soon I hope. You’ve got the gift to write. You keep your readers coming back for more. Last year was a phenomenal year and this coming up year looks great. I was curious though if you plan on anymore mm books? 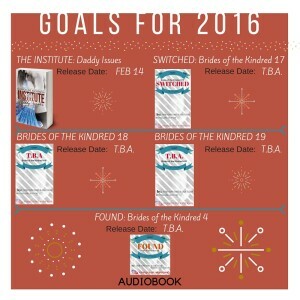 I look forward to the next brides of the kindred book. I have grown to love the old and new characters! You keep me coming back for more and make me feel like I’m on the ship with them! I loved everything you wrote in 2015 and I can’t wait to see what you’ve got coming up in the new year. Your imagination is boundless! Happy 2016! Looking forward to your next book in the Born to Darkness series, even if it isn’t on the list! I can’t wait for all the new Kindred books as well! i love listening to your books on audio! I can’t wait for the next Kindred book to listen to. We want more Kindred books, yeah more Kindred books. Your imagination if a gift. Keep using that gift. I can’t wait to read Cardinal Sins! I also love the Kindred series.